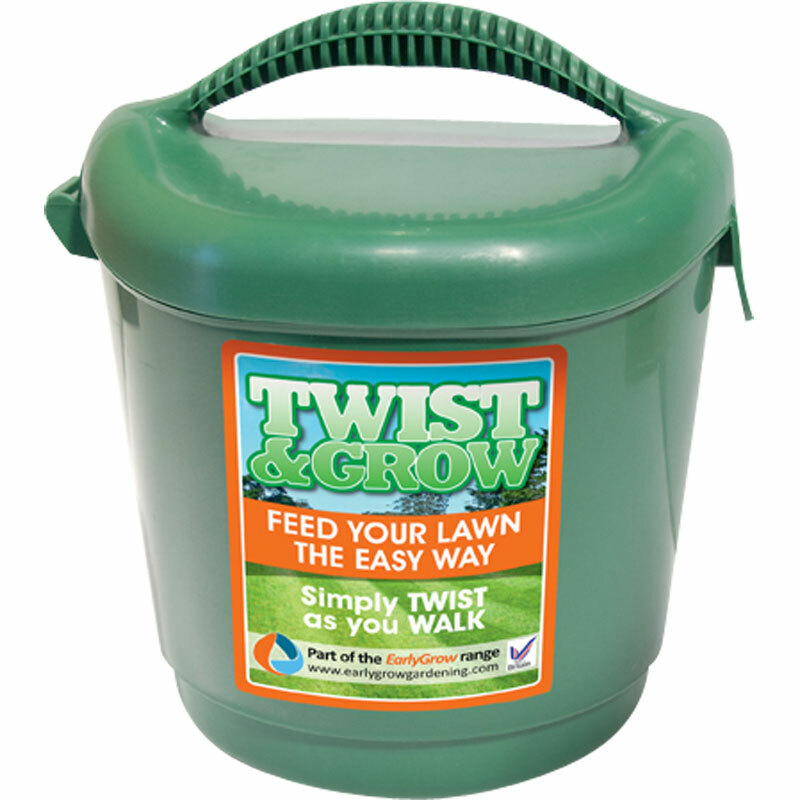 The 3 Litre Twist and Grow Hand Held Seed or Feed Spreader is ideal to feed your lawn the easy way - Simply TWIST as you walk. With multiple settings for use with different grass seed or granulated Fertilizer. Use settings 1-2 for fine seed or feed. Use Settings 3-4 for larger granulated feed. Coverage: Refer to seed/feed manufacturers instructions. Settings are for guidance only. You may need to make some adjustments depending on the particular choice of product. If unsure, try a small test area first. Once filled do not rotate until you have reached the area you wish to treat. Always follow the product manufacturers pack instructions carefully. When filling the Twist & Grow Tub, place it on a firm, level surface. Maintain a steady walking pace to ensure an even coverage and avoid over-feeding. Hold the Twist & Grow at a comfortable height and rotate back an forth to ensure a good even application. If the contents are spilt or if it drifts onto areas you do not want to treat, brush clean the affected area immediately to avoid over-feeding and possible staining. Return unused contents back into its original container. Wash out the Twist & Grow after use to avoid any cross contamination of product types.